Let’s get this party started! 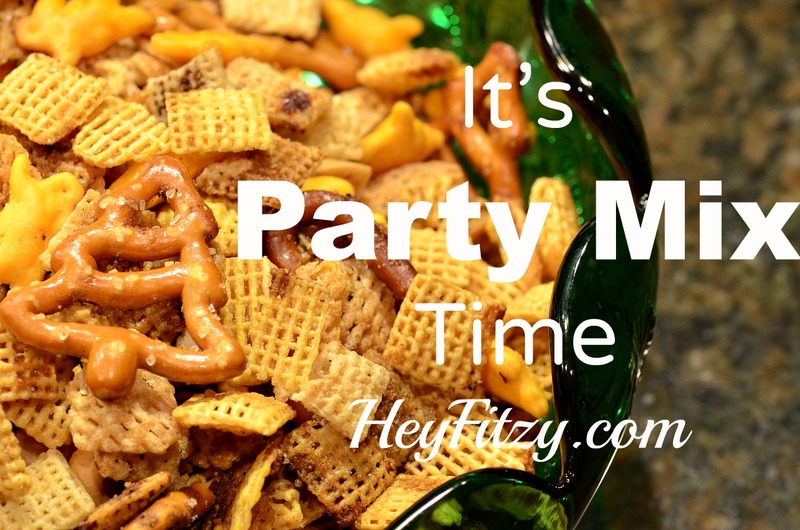 The holidays have officially begun and my kids are already begging for the first batch of Party Mix. It is a holiday tradition in the Fitzy house and who am I to deny them. Quick and easy snack that pleases everyone. 6 cups Chex cereal- we use 2 cups of rice, corn, and honey. Select your favorite variety. Set out 4 cookie sheet with sides. In a small bowl combine first 5 ingredients. Set aside. Pour the butter-seasoning mixture into the large bowl and mix well. Spread the mix into each cookie sheet. Place in oven at 250 degrees. Cook for 15 minutes and stir. Repeat t3 times. Total cook time is 45 minutes. 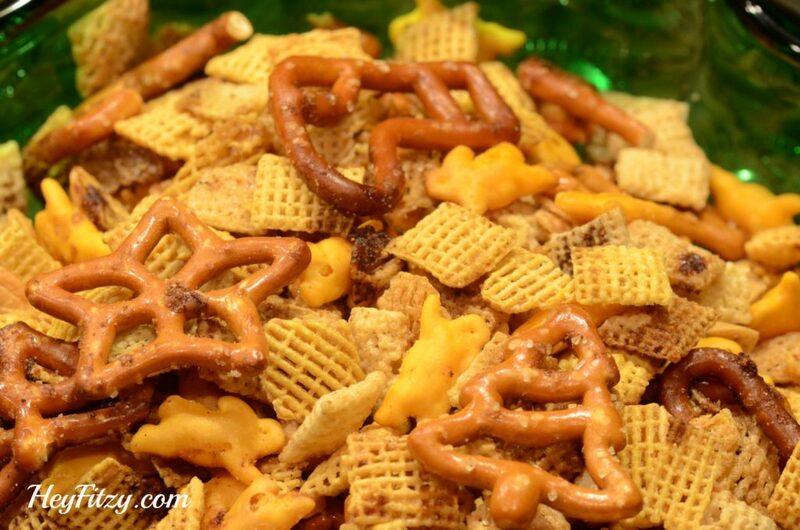 This party mix will last for several weeks in an air tight container. This recipe is good y’all! We love that you can mix and match your favorite ingredients to get just the perfect combination of yummy. Don’t like wheat Chex or nuts. Great…you won’t have to pick them out like you do in the store bought bags. Plus an added benefit of making this at home…you don’t have to interpret any mystery ingredients. Over the years we have tried different ingredients to determine our family favorites. Always a favorite are the pretzels. Nothing like the fun of adding holiday pretzels to the mix. Is it just me or is there something magical about eating christmas tree shaped pretzels during the holidays?!?! 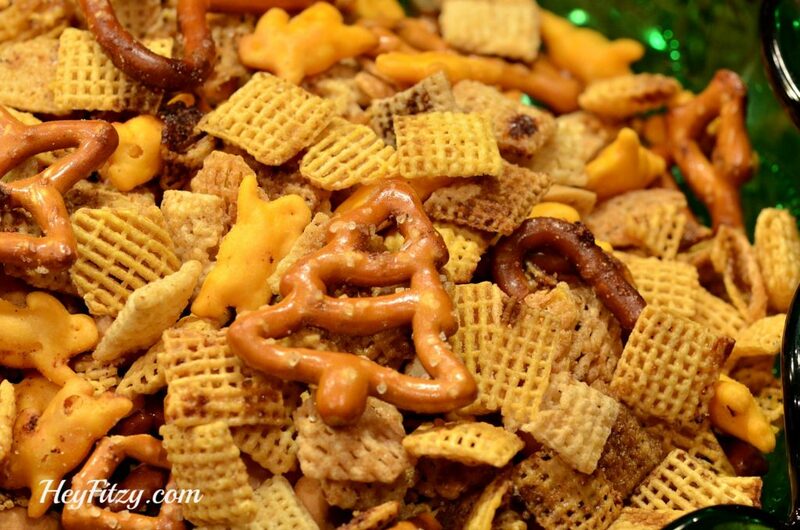 I hope your family enjoys the Party Mix as much as we do! Happy holidays!